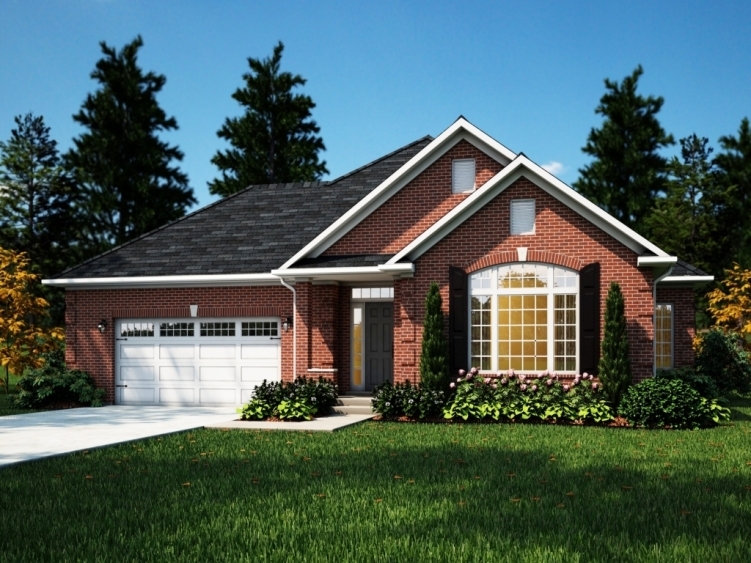 The Rosedale is a spacious, easy living bungalow. 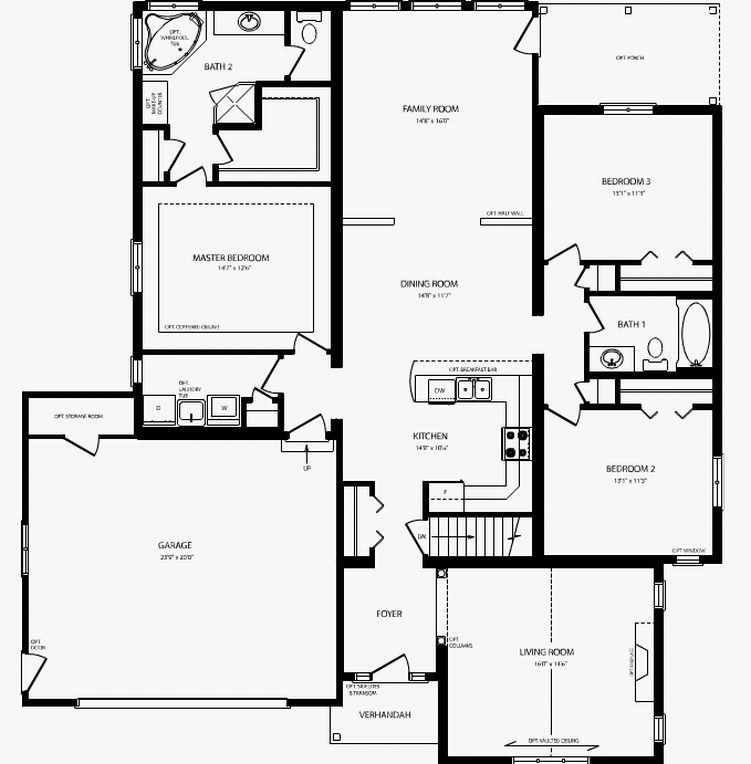 The entertainment area is located centrally with an eat-in-kitchen open to the great room. The master bedroom boasts a huge ensuite with walk in closet, while the other two bedrooms are contained in their own wing. The formal living room is bright with large windows and cathedral ceiling. Choose from an assortment of exterior and interior treatments to make the design of this home your own.